Pet owners across the U.S. have the same concerns: Keeping their beloved companions happy, safe and healthy. With that in mind, cat and dog owners are opting for pet insurance. And pet owners who live in Texas are no different. They want Texas pet insurance policies that are affordable, flexible and user-friendly, offering inclusive coverage that will give them peace of mind when it comes to their precious family members. If you live in Texas, you want to know that your dog or cat can visit any properly licensed veterinarian in any part of the state. Be sure to choose a pet health insurance plan that allows for that. Remember, you may be traveling to another part of Texas with your pet. If he had an injury or illness, you wouldn’t want to waste precious time finding a vet in that city that was approved to see your pet. With medical advances being discovered every day in veterinary science, the fees for quality care are increasing. Some statistics reflect that fees for veterinarian care are doubling every 13 years! But with comprehensive, lower-cost pet insurance coverage, you can expect to benefit from these advances when your furry family member needs care. 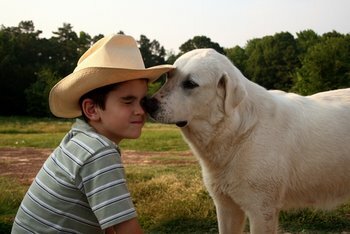 Texas pet parents are choosing to offset the costs of pet care with their pet insurance plans. Texas, like other Southern states, has special concerns for pets. Hot climates, large insect populations and dangerous wildlife are just some of the Texas-specific threats to pets that Texans must be vigilant about. Unlike most current health insurance plans for people, pet insurance plans are called “indemnity.” What this means is that you pay for the vet’s services up front and then submit claims to get reimbursed later. Each state has different regulations regarding insurance. Pet insurance companies must comply by each state’s Department of Insurance guidelines. When choosing a plan to cover your pet, be sure to find out if there are particular aspects of pet insurance policies that are specific to Texas pets.